Match ends, Korea Republic 2, Uruguay 1. Second Half ends, Korea Republic 2, Uruguay 1. Attempt saved. Maxi Gómez (Uruguay) header from the centre of the box is saved in the centre of the goal. Assisted by Marcelo Saracchi with a cross. Attempt missed. Marcelo Saracchi (Uruguay) left footed shot from the left side of the box is high and wide to the left. Edinson Cavani (Uruguay) wins a free kick in the defensive half. Substitution, Korea Republic. 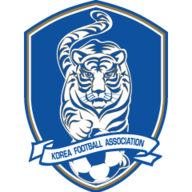 Hwang In-Beom replaces Ki Sung-yueng. Foul by Suk Hyun-Jun (Korea Republic). Lucas Torreira (Uruguay) wins a free kick in the defensive half. Substitution, Uruguay. Marcelo Saracchi replaces Diego Laxalt. Foul by Lucas Torreira (Uruguay). Foul by Diego Laxalt (Uruguay). Goal! Korea Republic 2, Uruguay 1. Jung Woo-young (Korea Republic) left footed shot from the centre of the box to the bottom right corner following a corner. Attempt missed. Suk Hyun-Jun (Korea Republic) header from the centre of the box is close, but misses to the left following a corner. Corner, Korea Republic. Conceded by Martín Cáceres. Substitution, Korea Republic. Moon Seon-Min replaces Kim Young-Gwon because of an injury. Rodrigo Bentancur (Uruguay) wins a free kick in the defensive half. Substitution, Korea Republic. Kim Min-Jae replaces Hee-Chan Hwang. Delay in match Kim Young-Gwon (Korea Republic) because of an injury. Rodrigo Bentancur (Uruguay) is shown the yellow card for a bad foul. Hee-Chan Hwang (Korea Republic) wins a free kick in the defensive half. Foul by Rodrigo Bentancur (Uruguay). Attempt blocked. Maxi Gómez (Uruguay) header from the centre of the box is blocked. Corner, Uruguay. Conceded by Lee Yong. Attempt blocked. Diego Laxalt (Uruguay) header from the centre of the box is blocked. Assisted by Rodrigo Bentancur with a cross. Substitution, Uruguay. Gastón Pereiro replaces Matías Vecino. Goal! 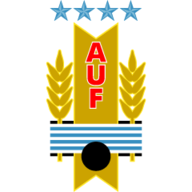 Korea Republic 1, Uruguay 1. Matías Vecino (Uruguay) right footed shot from the centre of the box to the bottom right corner. Assisted by Lucas Torreira. Attempt missed. Gastón Silva (Uruguay) left footed shot from outside the box misses to the right. Attempt blocked. Maxi Gómez (Uruguay) right footed shot from outside the box is blocked. Assisted by Rodrigo Bentancur. Substitution, Korea Republic. Suk Hyun-Jun replaces Hwang Ui-Jo. Goal! Korea Republic 1, Uruguay 0. Hwang Ui-Jo (Korea Republic) right footed shot from the left side of the box to the bottom right corner following a set piece situation. Penalty saved! Son Heung-Min (Korea Republic) fails to capitalise on this great opportunity, right footed shot saved in the bottom left corner. Fernando Muslera (Uruguay) is shown the yellow card. Penalty Korea Republic. Hwang Ui-Jo draws a foul in the penalty area. Penalty conceded by Sebastián Coates (Uruguay) after a foul in the penalty area. Attempt missed. Hong Chul (Korea Republic) right footed shot from outside the box misses to the right. Corner, Korea Republic. Conceded by Lucas Torreira. Substitution, Uruguay. Maxi Gómez replaces Cristhian Stuani. Attempt missed. Matías Vecino (Uruguay) right footed shot from outside the box misses to the left. Rodrigo Bentancur (Uruguay) hits the bar with a left footed shot from outside the box following a corner. Corner, Uruguay. Conceded by Kim Seung-gyu. Hand ball by Lucas Torreira (Uruguay). Offside, Uruguay. Rodrigo Bentancur tries a through ball, but Edinson Cavani is caught offside. Cristhian Stuani (Uruguay) wins a free kick in the attacking half. Attempt missed. Rodrigo Bentancur (Uruguay) right footed shot from outside the box is high and wide to the right. Assisted by Edinson Cavani. Attempt missed. Hwang Ui-Jo (Korea Republic) header from the centre of the box misses to the right. Assisted by Son Heung-Min with a cross following a corner. Corner, Korea Republic. Conceded by Sebastián Coates. Attempt saved. Hwang Ui-Jo (Korea Republic) right footed shot from the centre of the box is saved in the bottom left corner. Assisted by Hee-Chan Hwang. Second Half begins Korea Republic 0, Uruguay 0. Substitution, Uruguay. Gastón Silva replaces Nahitan Nández. First Half ends, Korea Republic 0, Uruguay 0. Attempt missed. Cristhian Stuani (Uruguay) header from the left side of the box is close, but misses the top left corner. Assisted by Diego Laxalt with a cross. Attempt blocked. Lucas Torreira (Uruguay) right footed shot from outside the box is blocked. Nam Tae-hee (Korea Republic) wins a free kick in the defensive half. Foul by Matías Vecino (Uruguay). Attempt saved. Nam Tae-hee (Korea Republic) right footed shot from outside the box is saved in the top centre of the goal. Assisted by Hwang Ui-Jo. Attempt missed. Nahitan Nández (Uruguay) right footed shot from outside the box misses to the left following a corner. Foul by Jang Hyun-Soo (Korea Republic). Cristhian Stuani (Uruguay) wins a free kick on the left wing. Nahitan Nández (Uruguay) is shown the yellow card for a bad foul. Foul by Nahitan Nández (Uruguay). Son Heung-Min (Korea Republic) wins a free kick on the left wing. Attempt missed. Matías Vecino (Uruguay) right footed shot from outside the box is too high. Assisted by Rodrigo Bentancur. Jang Hyun-Soo (Korea Republic) wins a free kick in the defensive half. Foul by Cristhian Stuani (Uruguay). Attempt missed. Nahitan Nández (Uruguay) right footed shot from the centre of the box misses to the right. Assisted by Diego Laxalt. Foul by Hee-Chan Hwang (Korea Republic). Delay in match Cristhian Stuani (Uruguay) because of an injury. Attempt missed. Hee-Chan Hwang (Korea Republic) header from the centre of the box is close, but misses to the right. Assisted by Jang Hyun-Soo. Ki Sung-yueng (Korea Republic) wins a free kick in the defensive half. Hwang Ui-Jo (Korea Republic) wins a free kick on the right wing.